SPECIAL! 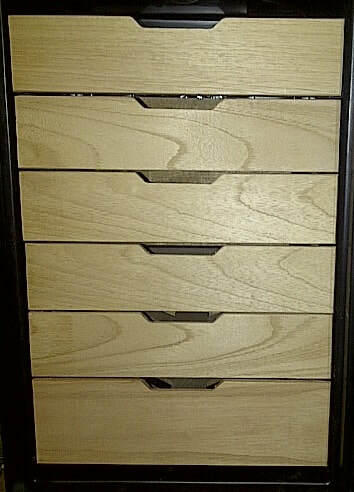 Spanish cedar 4 drawer set $100 for Newair CC-300 cigar cooler. Weekend special. Get in on the deal now! 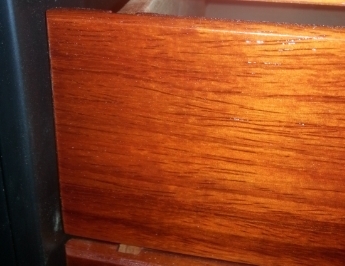 Replace the 4 shelves in your CC300 with Spanish cedar drawers. Click here! Custom drawers & shelves for converting your wine cooler into a Wineador™! 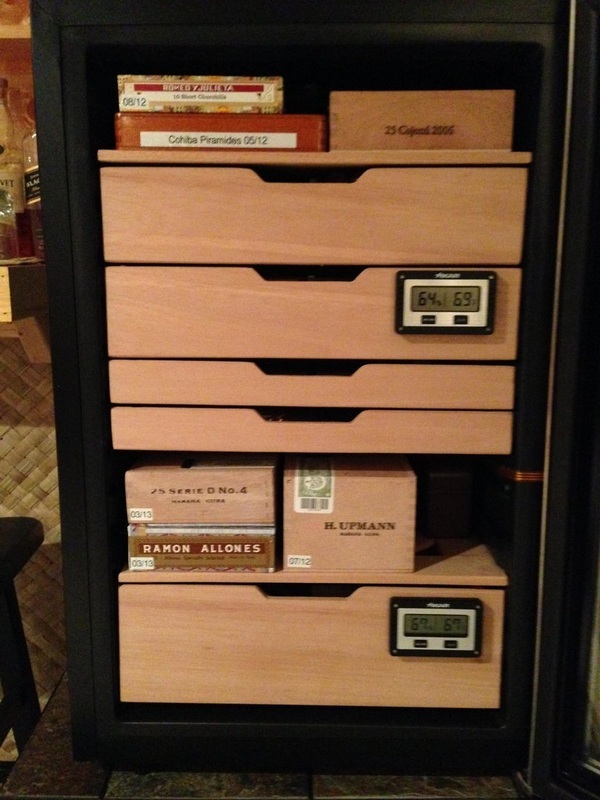 Turn your wine cooler into a temperature controlled humidor for your cigar collection! 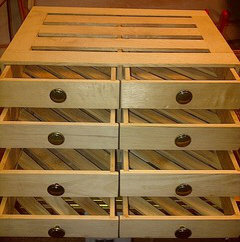 Each drawer capable of 136 Corona sized cigars! ​Everything you need to get started in one complete set! 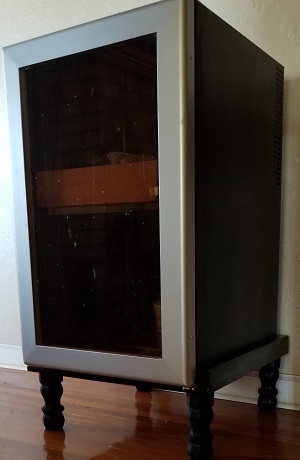 We now offer stands for Wineadors! 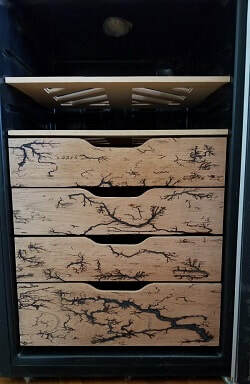 Available for just about any Wineador. 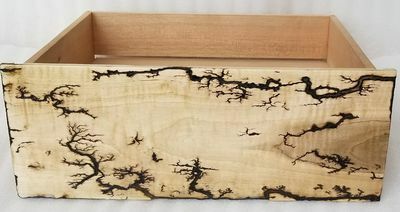 Shown below is the 6 1/2" high stand. 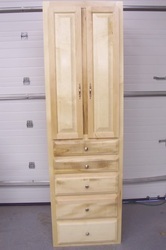 Also available in 9 1/2" high and can even do tall ones for the smaller Wineador setups. Just email for more information. 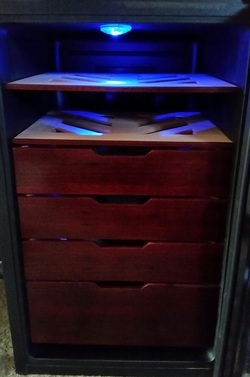 Custom made Wineador stand to fit various models. 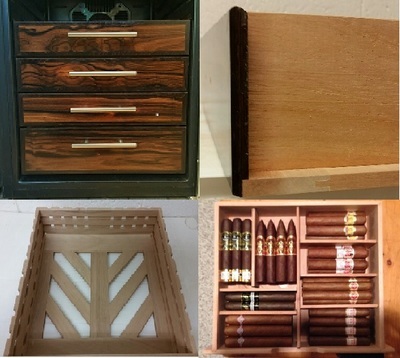 Just add your model of cooler in the notes, or email us to let us know. Custom builds available as well. 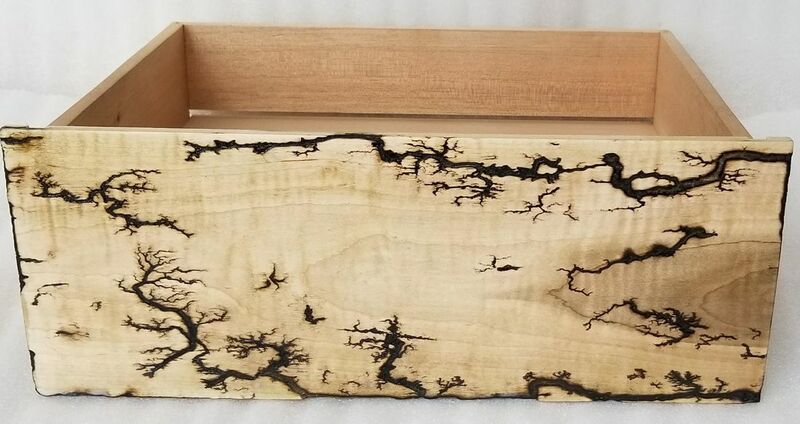 Ebony finish and available in 6 1/2", 9 1/2" height. 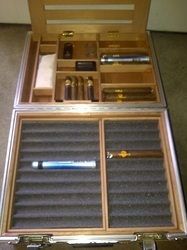 I received my trays today and they are in excellent condition. I want to compliment you on your craftsmanship. 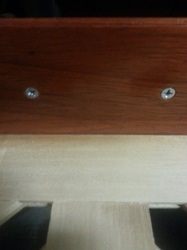 The quality of the trays has exceeded my expectations. 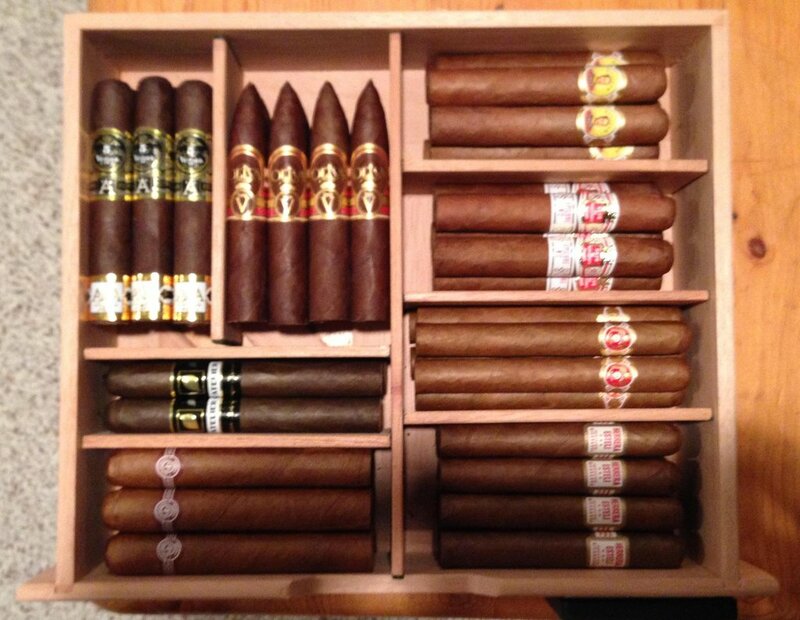 I will be referring anyone I know with humidor/wineador needs to you and I look forward to doing business with you again in the future. 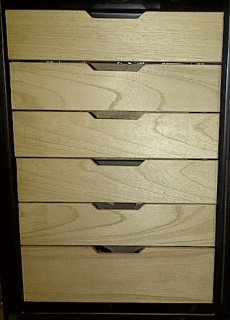 I wanted to thank you for making such a nice drawers for my Wineador. They arrived yesterday in a perfect condition, and the quality and craftsmanship is absolutely fantastic. When I opened the box, my wife who's been together with me that time, said when saw them, that they look gorgeous ;). They really look amazing...!!! I'm so happy with the way everything turned out. 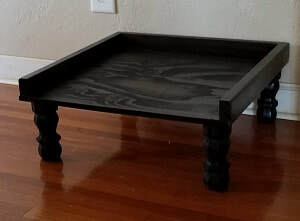 I like how nice you chose that dark ebony I wanted. 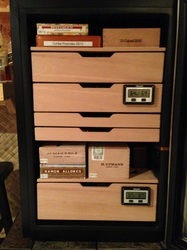 They not only have such a precise fit inside my Wineador, but they also slide so perfect, and that wood grain is just giving it such an elegance and charming look...and the smell of that Spanish cedar is awesome...!!! Thanks again Forrest. 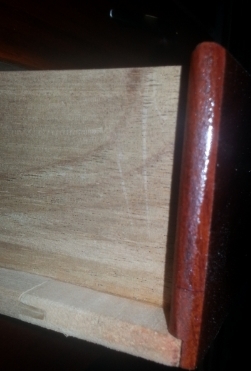 Ciprian R. - Vancouver, CAN"
I just want to show my respect for your craftsmanship. 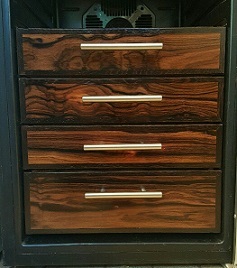 Your work are perfectly fitted in my wineador. 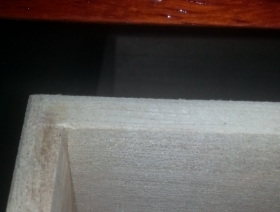 Materials are top condition and delivery fast, even for Denmark. 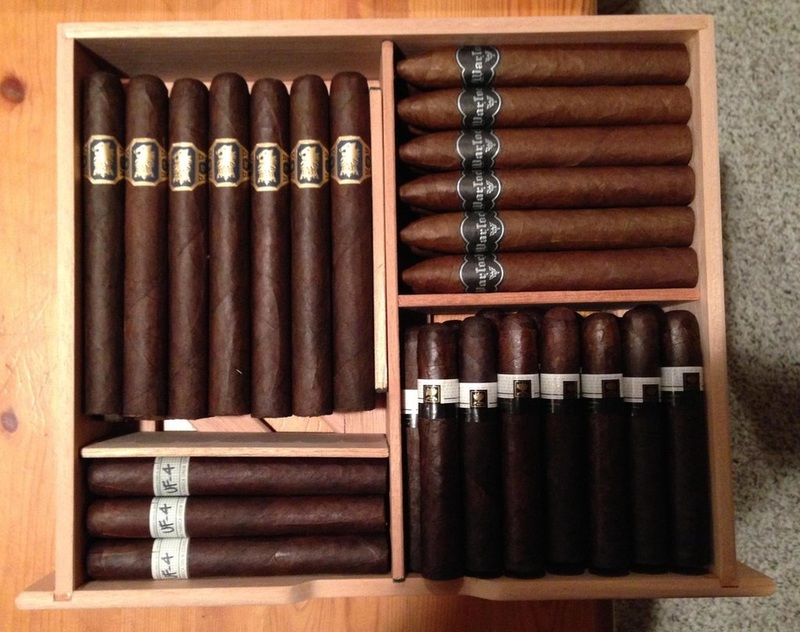 I received my order tonight and am very pleased with the quality. I would like to comment on the packaging also...very securely packed. 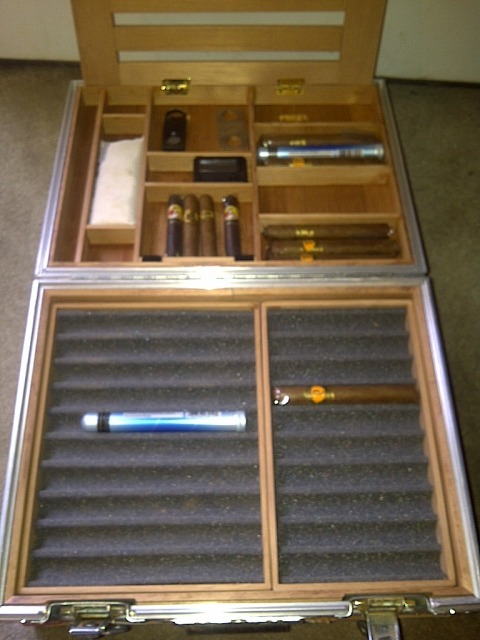 This will make storing my cigars at the proper temp. and humidity much easier. 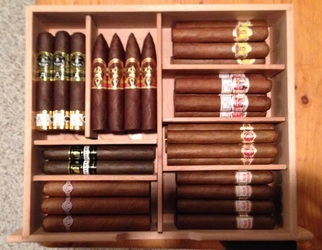 I will recommend you to all my cigar buddies. 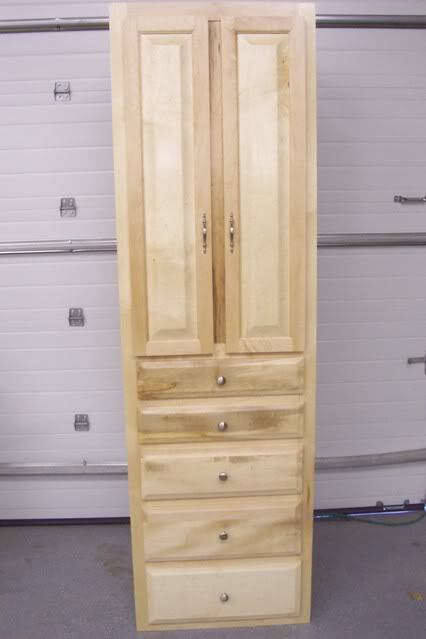 Built with 3/8" Kiln Dried Spanish Cedar. Chevron slat bottoms, plain front design is the standard style. 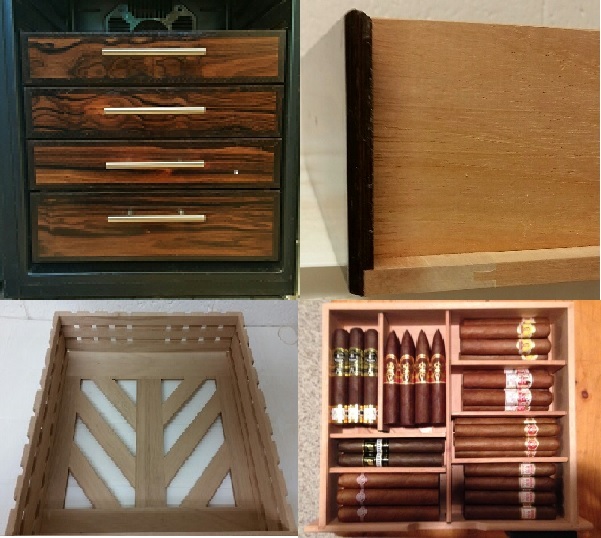 If your brand of Wineador™ is not listed above (I only get a few pages available for products), just contact me via email and I'll be happy to quote you. 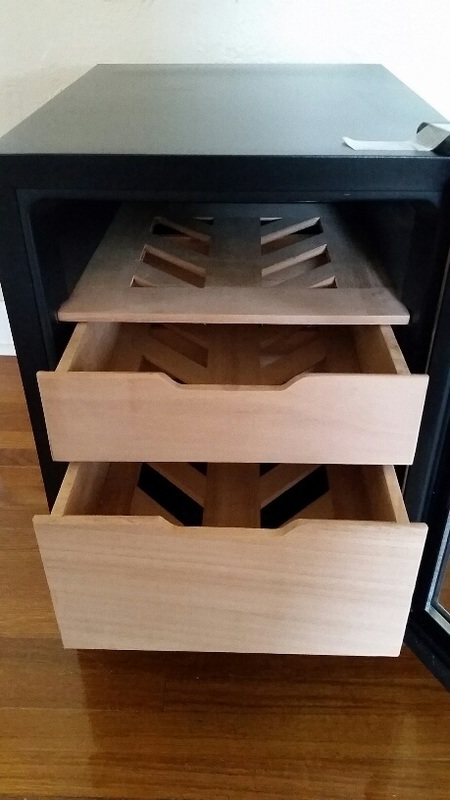 I have a fairly extensive library of wine cooler specs, so chances are I may have the dimensions already. Simply email with any time constraints before ordering and I'll be happy to work with you. I do not stock items ready to ship. International orders will have their freight charges billed separately after order is boxed & weighed. Domestic shipping is via ground.